SKU: books-1222. 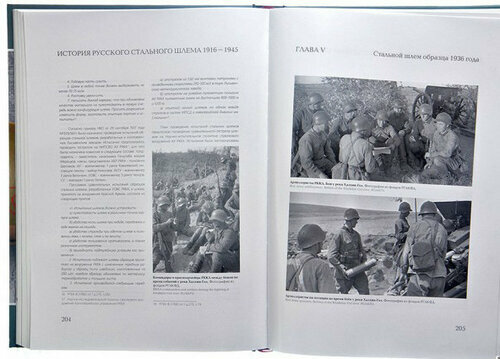 Category: Photo and art albums, Red Army, Revolution 1917 and Civil War, World War 2. 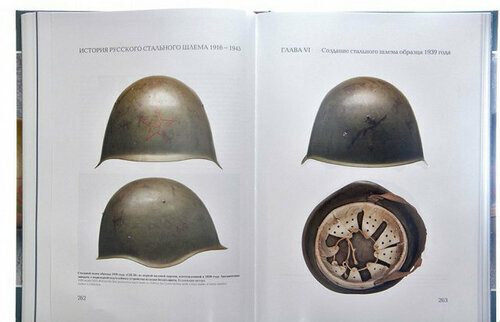 Title: The history of the russian steel helmet. 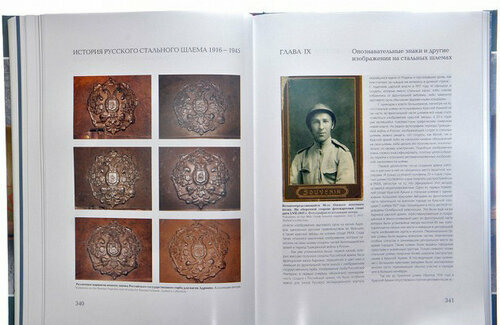 Photo album-catalogue. In 2016, exactly 100 years have passed since the appearance in the Russian army of this type of protective equipment, such as a steel helmet. 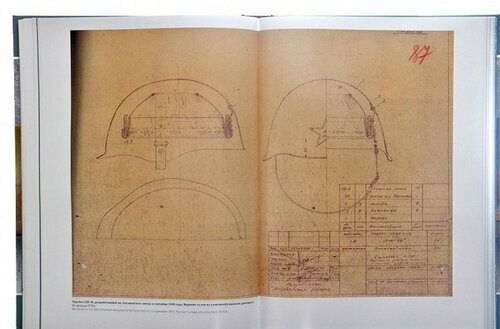 This particular book is devoted to this significant event. 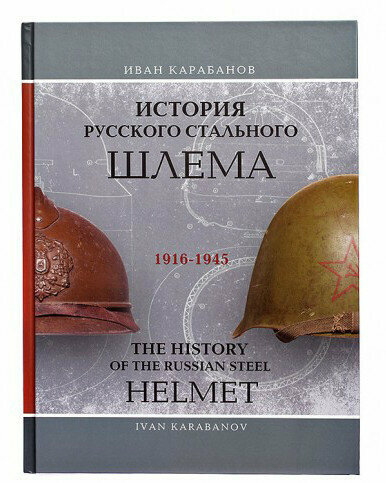 The book tells about all the stages of the evolution of the steel helmet in the Russian army, as a kind of protective equipment, through the prism of historical events that took place in Russia in the first half of the 20th century. The time period considered in the book of events from 1916 to 1945 was not chosen by chance. 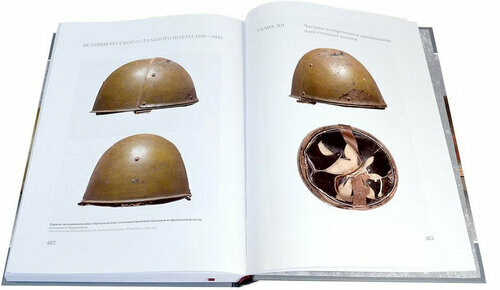 It was during this historical period, limited by two world wars, that the Russian steel helmet underwent evolution from an inconvenient and ineffective headgear made from ordinary iron to a steel helmet of the 1940 model, which proved effective in the battles of World War II, saving the lives of millions of soldiers, and who remained in the equipment of the army of our country for more than half a century.